Giorgia Guidicelli also explains her message for Sarah Geronimo on Instagram. 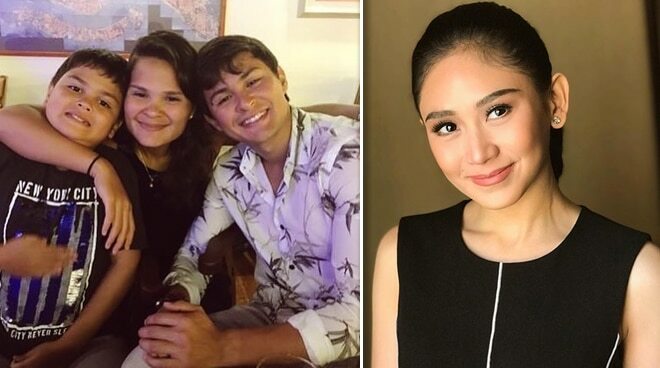 In Magandang Buhay's episode last Thursday, May 17, Matteo Guidicelli's siblings related how they treat his girlfriend, Sarah Geronimo like family. "She's a friend, family," Matteo's sister Giorgia told the Magandang Buhay hosts when asked about spending time with Sarah. Matteo’s younger brother Paulo, on the other hand, shared that Sarah is a good person. "She's funny, and she's very generous and caring," Paulo remarked. Giorgia also explained her message for Sarah on Instagram which she sent after the latter’s emotional breakdown in Las Vegas, Nevada. Excited for all the adventures. There’s so much to look forward to, manang ko!! "It's always important to look forward to stuff in life because you know sometimes you might be busy and you might think there's no end of the road of your business. So, it's important to look forward to stuff and see that there's sunshine after all your hard work," Giorgia explained. "I always remind her and my brother that you know your profession does not define you, your work doesn't define you. You are you because you like to eat. You are you because you like to joke around. You know you are you because you like to have fun and go out. But not like you know, you being a superstar is not who you should be defined by," she added.